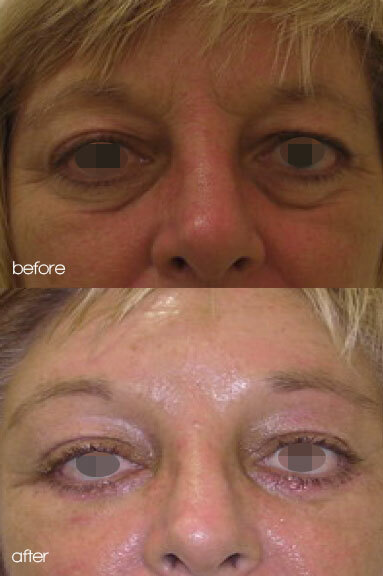 Eyelid Surgery (upper and/or lower eyelids) reduces the appearance of tired, droopy upper eyelids, eliminate bags under the eyes and restores a more rested youthful appearance to the eyes with a wider aperture, greater smoothness and symmetry. This can also be done as part of a ‘Face Lift’. A Blepharoplasty involves a surgical procedure to your upper and/or lower eyelids to remove excess skin or fat and tighten the appearance of your eye area. 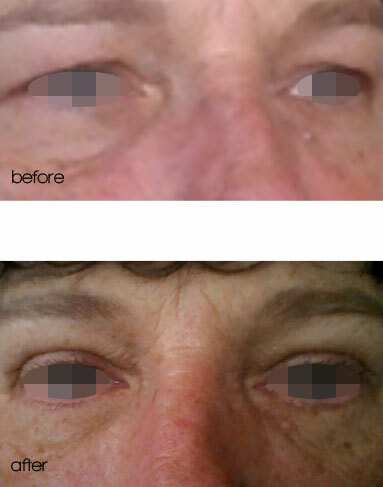 Incisions are made in the crease of the upper eyelid and behind or beneath the lashes of the lower eyelid. 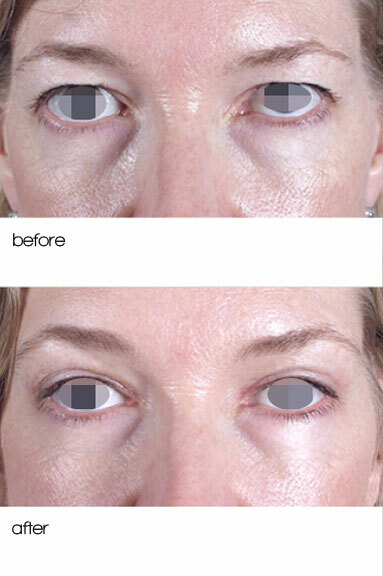 Excess fat and skin are removed and if necessary, the muscles around the eye are re-draped. Fatty bulges in the lower lids can be improved. Incisions in the lower eyelids will either run along just beneath the eyelashes and a little out to the side, or the procedure may be performed (where suitable) by an incision on the inside of the lower lids. 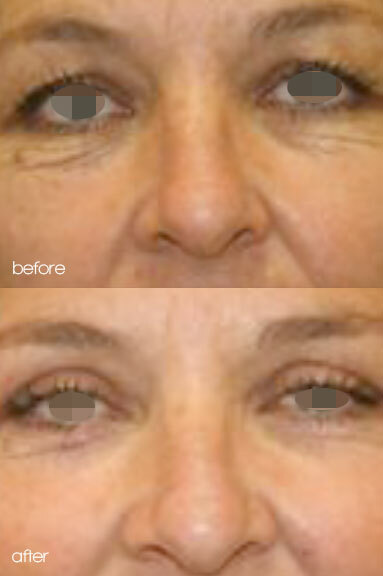 If the fat is removed by the incision inside the eyelid, it is also possible to resurface the lines of the lower eyelid at the same time with laser. 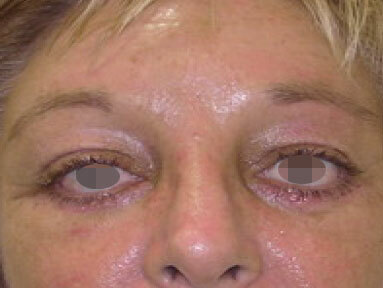 The upper eyelid incision is hidden in the eyelid fold above the eye. The outer edge of the incision under the eyebrow is sometimes noticed immediately and then over time fades to being almost invisible. Women can use makeup to help hide this if they feel it necessary. When can I wear my glasses/contact lenses again? Glasses are fine to be immediately worn and contact lenses, generally 1 week post-surgery. What is the recovery like after? 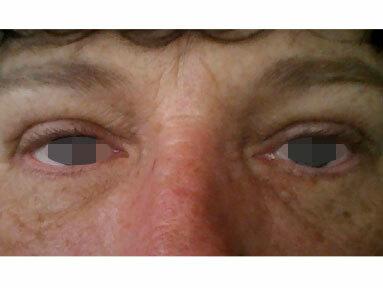 Some swelling and bruising may occur after the eyelid lift. Any pain that patients experience is well-controlled with low-dose prescription or over the counter pain medication. Most patients are presentable in public within 7 – 10 days after surgery. 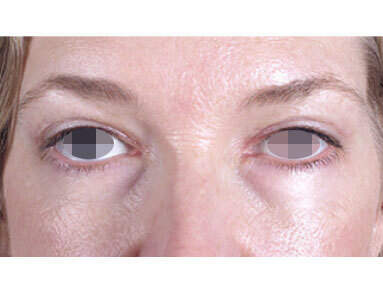 In general, the upper eyelids tend to recover more quickly than the lower eyelids.